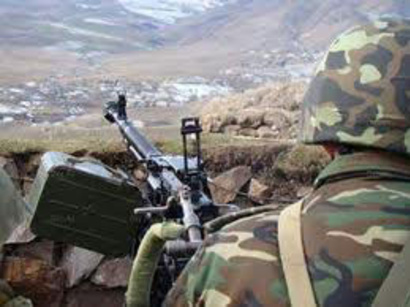 Military units of the armed forces of Armenia violated ceasefire 92 times throughout the day, using large-caliber machine guns, the Azerbaijani Defense Ministry said August 5. Armenian armed forces, located in Voskevan village of Noyemberyan region, in Berkaber village and on nameless hills in Ijevan region, in Mosesgekh, Chinari villages of Berd region, and on nameless hills in Krasnoselsk region subjected to fire the positions of the Azerbaijan Army located in Gizilhajili village of Gazakh region, in Aghdam, Munjuglu villages of Tovuz region, and on nameless hills in Gadabay region. The positions of Azerbaijan Army were also fired from positions of Armenian military units located near the occupied Nemirli, Shikhlar, Yusifjanly, Marzili villages of Aghdam region, Garvand village of Fuzuli region, Nuzgar village of Jabrayil region, as well as from positions located on nameless hills in Goranboy, Terter, Aghdam and Khojavend regions.